No matter the size of your company, running a business requires an effective marketing strategy and plenty of time to execute that strategy to perfection. If you never seem to have enough hours in the day to get everything done, your answer might lie with virtual marketing assistants. By outsourcing certain jobs and responsibilities to marketing experts, you’re not only freeing up your time but getting these services done by experienced marketing strategists. 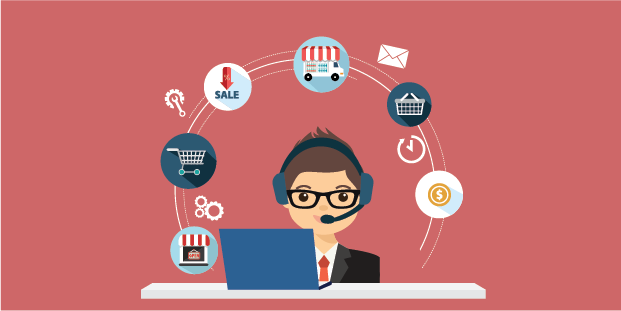 While it may sound as if a virtual marketing assistant is a computerized or digital assistant, it is a role filled by a real human being. The only difference between a marketing assistant and a virtual marketing assistant is that the latter works remotely and is usually hired as a contractor. They will have all of the skills that you would expect from a marketing assistant, but they complete them away from the business’s primarily location. If you’re a small business or a startup that doesn’t have a marketing department at all, you’re likely taking on the marketing tasks yourself at the moment, or adding them to the responsibilities of the staff you do have. Rather than fitting marketing into the gaps between all of the other duties, a virtual marketing assistant’s sole responsibility will be marketing. For larger companies that do have a marketing department, a virtual marketing assistant can provide the additional support you need. You may have a large project coming up and know that your marketing department is going to need some extra hands on deck. Rather than hiring another full-time employee, hire an assistant on contract so that you only have them for as long as the business needs. When we talk about marketing, a lot of different jobs and services can be included. A virtual marketing assistant can do almost anything for your business as long as they’re able to do it remotely, but there are a few key services that would be well worth your money. In today’s digital world, a business doesn’t thrive unless it has a strong social media presence. While occasionally posting to various platforms may not seem like it would take up too much of your time, you want to be sure that these posts are well-curated and directing customers to your website. Virtual marketing assistants are well-versed in crafting engaging posts, creating an effective schedule of posting, and responding to any customers who contact you over social media. Successful email campaigns involve refining lists of addresses, writing engaging messages, and efficiently tracking the analytics of the campaign. An assistant can first comb through your email list to check for outdated addresses or duplicates. They can then craft a schedule of emails that won’t overwhelm your customers, but won’t let them forget about your company either. An effective assistant will also be able to write attention-grabbing subject lines so that recipients open your emails rather than deleting them. If your company’s website needs some help, or if you don’t currently have one, a virtual assistant is a perfect person to turn to. For existing websites, an assistant can make upgrades and modifications to bring it into the modern age. They’ll know what designs are most attractive to customers and can potentially add features like chatbots or email subscription pop-ups to engage visitors. Any effective digital marketing campaign has the goal of drawing people to your website and generating income for your business. SEO, or search engine optimization, is the measurement by which search engines decide to rank your page in search results. To help boost your SEO, a marketing assistant will incorporate keywords and phrases into your site with well-crafted onsite content and create useful backlinks to lead to your website. The onsite content will often be in the form of a blog, which the assistant can also help keep up to date and interesting. There are many other services beyond these four that a virtual marketing assistant could provide for your company. You can outsource virtually any marketing duty that is taking up your time or that of another employee to make your business more efficient. Not only will you be working more efficiently, but you can be confident in your company’s expert marketing strategy.